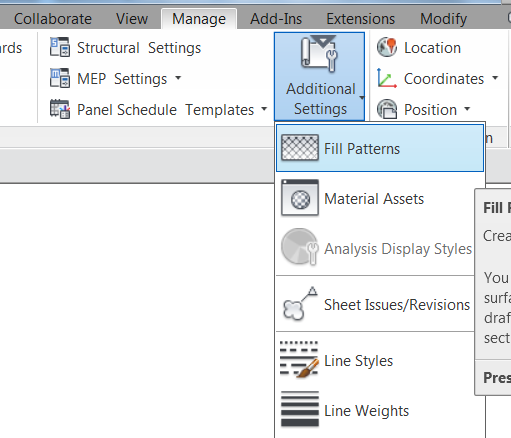 Revit accepts the same format Hatch pattern as AutoCAD, which is the *.pat file extension which is editable using notepad. However a few extra lines of code need to be added before it is imported into Revit. The *.pat file looks like this. 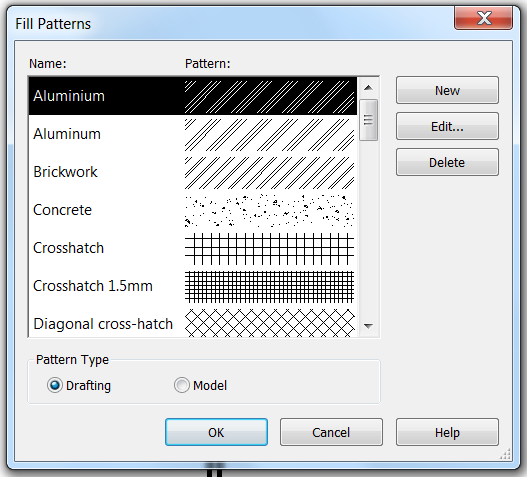 There are two options when importing a pattern file into Revit. These are Drafting or Model and *.pat file must have lines of code to accept these options, also the units of the hatch must be stated so that scaling problems do not occur. The amended *.pat file is below. 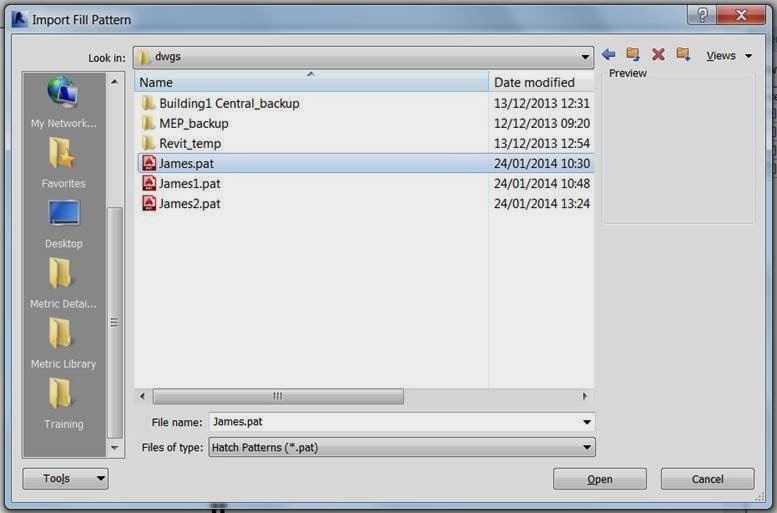 Once edited the *’pat file is saved in the same place as the revit.pat file. The following dialogue box appears. First choose whether to create a Drafting or Model Hatch. Drafting for the annotation objects and Model for 3D objects and Elevations. Select the new button. In the dialogue box that appears choose the Custom option. Then select the Import button. Navigate to the *.pat file and select it. Choose the file in the import list. The Units and import scale are displayed. Then select OK. 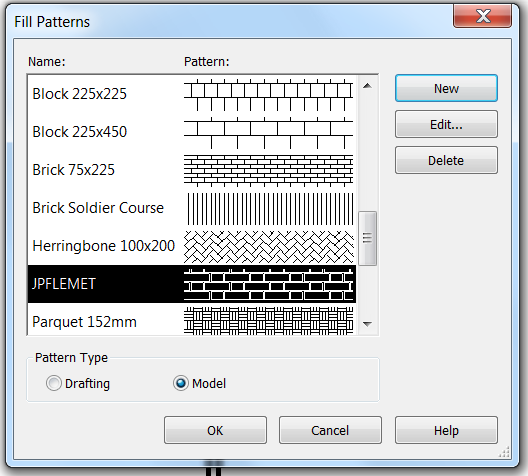 The pattern is imported and appears in the pattern list. Then Select OK.